Ten states ― California, Washington, Texas, Kansas, North Carolina, Montana, New Mexico, New Jersey, Arkansas and South Dakota ― are seeing increases in homeless veterans, according to 2017 statistics cited in the report. And while unemployment among veterans has dropped, there are regions where veteran unemployment is still higher than that of civilians of similar age, including six western states, five northeastern states and three southeastern states. The report, “Measuring Our Communities: The State of Military and Veteran Families in the United States,” pulls together military-specific data from more than 30 nationally representative sources, including government sources such as the Census Bureau, the Veterans Affairs department, and others. It uses the “Measuring Communities” online tool, which launched two years ago to facilitate access to data for government, nonprofit and other organizations that want to provide services to veterans and military families in their communities. The tool helps provide insights about all geographic regions of the U.S., often down to the county level. Could changes to TAP curb veteran suicide? Transforming the way service members are prepared for life after the military could curb veteran unemployment, homelessness and suicide. Or, at least that’s the hope behind a new bill being introduced in Congress Thursday that seeks to strengthen the Defense Department’s mandatory Transition Assistance Program. This report uses a snapshot of data from previous years, but the data that is part of the tool itself updates each time the sources provide new figures. The finding that some states are bucking the national trend, with more unemployment or homelessness among veterans, “made me want to ask more questions,” said Shelley MacDermid Wadsworth, director of Purdue’s Military Family Research Institute and co-author of the report along with Purdue’s Kathy Broniarcyzk, who is MFRI’s senior director for outreach and operations. 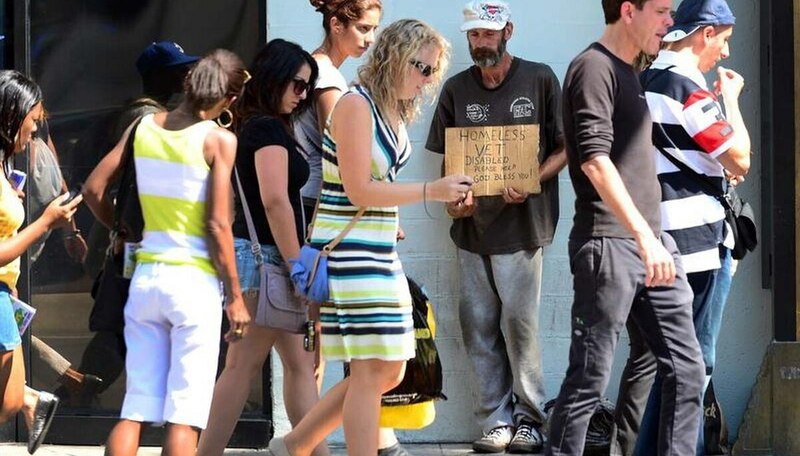 One recommendation by the authors was to pay attention to areas where the number of homeless veterans is increasing and find ways to reverse the trend. It’s important to look at the data over time, Wadsworth said. More than 60 organizations throughout the country are using the “Measuring Communities” online tool. Now, individuals have access to the tool as well as organizations. Individuals and families might use the tool, for example, to look at aspects of communities where they will move, and perhaps use it in making choices about where they will live, especially when leaving the military. The tool already has helped local nonprofits better focus their limited resources. One group, Wadsworth said, called the institute about providing employment help for younger veterans, not knowing that in their county, unemployment was much higher among older veterans. 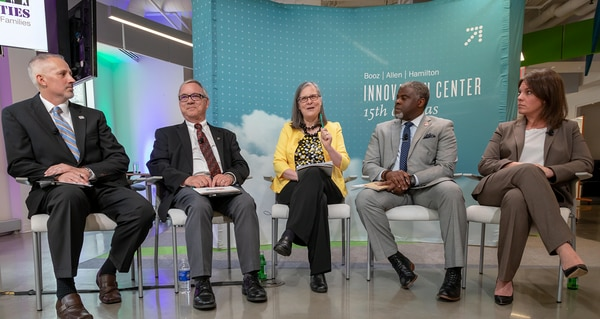 “They were about to spend a lot of energy … focusing their efforts on the wrong kind of employment problems,” she said, speaking during a panel discussion Monday about the findings of the report and the uses of the data. The executive director of a northern Virginia nonprofit used the tool to show a disproportionate amount of aging veterans in her area weren’t getting the services they needed, said Chris Ford, CEO of the National Association of Veteran-Serving Organizations. This data helped her apply for, and receive, a $68,000 grant ― worth nearly seven times the nonprofit’s revenue the previous year. Military-connected individuals live in all but three of the 3,142 counties in the U.S.
More than half of U.S. counties are designated as a “Health Professional Shortage Area” by the Department of Health and Human Services, indicating shortages in at least one type of primary care, dental care or mental health providers, This puts civilians and military families at risk for limited access to health care. Nearly 1,000 counties have a shortage of at least one type of mental health care professional. Texas and California have the largest numbers of veterans with disabilities, but there are 100 counties where more than 40 percent of the veteran population has disabilities. The three states with the highest percentage of 100 percent disabled veterans are Connecticut (4.6 percent); Pennsylvania (3.9 percent) and Illinois (3.7 percent).